Here is a little “Deep Purple” inspiration . . . I hope you don't mind the following! I don't know anyone else with correct background/knowledge to ask, and books read (eg those by Atkins, Taubes, Phinney and Volek) don't give me any possibilities for why and how to fix. Question is: any idea why my blood ketone level is low (< 0.1 mM), measured with newly purchased blood monitoring device, when I should be well-keto-adapted? And of course also the question: what should I do?? Long explanation: I've been on low-carb way of life for >6 months. I cannot even remember exactly what it felt like when switching (during adaptation period at start) although I do remember marveling at how good I felt (and still feel, so much energy!). Lifestyle: I do run five days/week, although I had bottomed out on running prior to starting low-carb because of weight gained when I thought low-fat was correct (I had panicked about a small weight gain during a hospital stay and then gained >50 lbs after! ), and I'm just starting to enjoy running again now I'm skinnier (but still 20lbs to go). I will be increasing mileage very very slowly having dealt with a stress fracture in recent past (last year) from too-fast distance increase. I'm barely at 10-15 mi/week, but eventually plan on getting back to marathon-running type distance/week. Anyway, low measurement of ketones is despite low-carb diet and currently running (although that is short compared to a few years ago). I eat eggs, cheese, and bacon for breakfast, sometimes leftovers for lunch although often not hungry enough to eat, then a dinner cooked by awesome hubby totally in line with low-carb, eg some meat or fish, with low-carb veggies, and sugar free Jell-O for desert. So WHY low ketones in blood?? What can I do to fix this?? Duncan Callahan Experimenting with a Ketogenic Diet. Today, I also noticed that Callahan is experimenting with a ketogenic diet. Looks like 2013 is becoming the year of the “keto runner”, I think it is just the beginning and soon those closet keto runners will be coming out. Hmmmm, when are we going to see ‘Keto Friendly’ gels on the shelves of our local running stores? HA! From http://strategicendurance.com/ Duncan Callahan’s blog. Tim Olson Pre-Race & Race Nutrition . 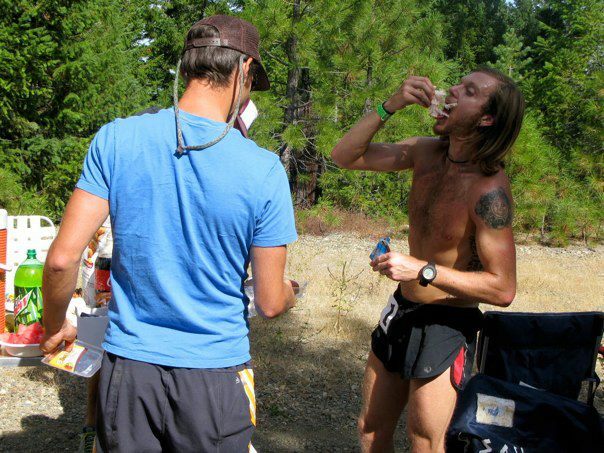 . .
Stillwater Runner just commented on our site regarding Tim Olson’s race nutrition for the Ray Miller 50 – Very cool Thanks Stillwater! I read most of the post earlier, but for some reason I did not see the final notes. Here they are . . . interesting. A couple scoops of Justin’s Hazelnut butter. 6- Cliff vanilla goo’s, 3 Vespa’s, a few drinks of coke and a couple Saltsticks every hour. After the race I had leftovers from the prior night, some vino and later had amazing beef and shrimp tacos at Shannon’s! Thanks so much! Botanabol – builds strength and endurance while optimizing energy levels and recovery time. Power Adapt – Elevates mental and physical performance and promotes a healthy stress response. I just listened to Episode 34 of Jimmy Moore Presents Ask The Low-Carb Experts and it is exactly what I needed to think about. At first on a low carb diet I focused on just eating low carb, now I am at the point that I want to eat even better (day 85 in Ketosis). 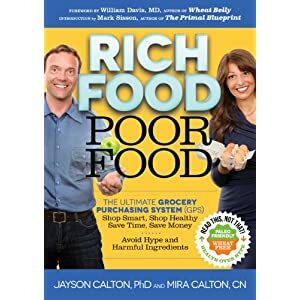 Jimmy interviews Dr. Jayson and Mira Calton from “Calton Nutrition” and discuss their new book, Rich Food Poor Food. The interview really intrigued me. I haven’t looked at the book yet, but improving the “quality” of my food is my next direction and I am going to Barnes and Noble this week to check it out. They state “Yes, eat a ketogenic diet but get the best nutrition you can” and give you suggestions on what low carb foods we should and shouldn’t be eating. As you all know I eat low carb, not necessarily “healthy” low carb, but I am getting better. It was tough at first, I never knew what to eat and ended up eating a lot of hot dogs; I haven’t had one in weeks. Has anyone checked out this book yet??? Or have other suggestions? "I'm taking in less than 50 grams of net carbs (carbs-fiber=net carbs) a day, as well as limiting protein consumption to less than about 150 grams a day, in order to force my body to run entirely on fat. I don't know of any ultra runners who restrict carbs to this extent so its going to be a great experiment. My only concern is that the lack of carbs could effect my speed since fat requires tons of oxygen to be burned while carbs can be burned without oxygen (anaerobically) during hard sessions. As someone who enjoys speedwork and shorter/faster racing, I don't want my diet to limit me. Last Monday, on day four of my ketogenic diet I did a 20 mile trail run at Bear Creek Lake Park in Lakewood, CO. The previous day -day three- had been rough, with moodiness, low energy, and a general feeling of fogginess. So going into the 20 miler I wasn't exactly excited, but I was hopeful: since I had been out of blood sugar for a few days now I should already be past "the wall." And it turned out great. There was a definite low point from miles 4 to 6, but it wasn't bad and when it passed I felt strong until I finished. I'm not sure why, but the next day -day five- I slept until noon and woke up feeling like I hadn't slept in three days. The entire day was spent in a heavy fog, similar to a bad fever. After an easy run my energy was back enough to feel like I could make it through the rest of the day without passing out. Day six was slightly better but I still didn't feel very coherent until after some miles. Day seven brought 24.5 miles over two runs and I felt great for both of them. On day eight I wrote "no more fog" in my running log and I felt like I was back. Day nine and ten were both above 20 miles and no crash followed like after day four. It's now day 13 and I can feel the affects of running 100 miles last week while also forcing my metabolism to undergo a major change. However, my running pace has quickened over the the last three days with no additional effort on my part and I think most of the fatigue I have is psychological. As a side-note, I think my brain operates better on ketones than on glucose: my attention span seems longer and I feel like I could read an entire book in one sitting -and actually retain 100% of it. I'm starting to feel like Bradley Cooper in Limitless. 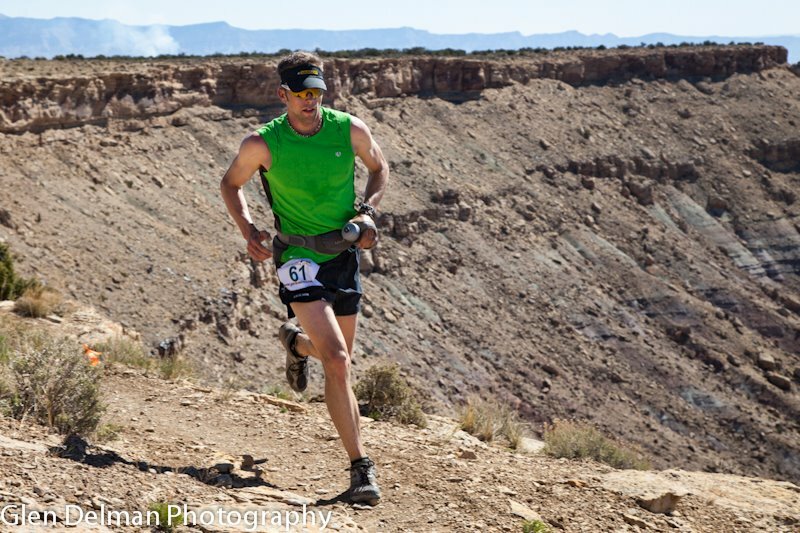 The true test will come next month, when I race a 55'ish mile race, then an 8.6 miler the following weekend, then a 50 miler two weeks after that." A quick summary of how it all tuned out: I did read an entire book in one sitting (What Happy People Know by Dan Baker, great book! ), the races went amazingly, and I haven't had symptoms like those since. I believe, based solely on my own experience and logic, that running shortens the adaption time. Since your body must first run out of glycogen before it even attempts to fat-adapt it makes sense that getting rid of your remaining glucose with some running would hasten the process. We'll have a post up soon with the lessons learned from our adaptation periods that could help your adaptation go smoother. How horrible or painless was your adaptation period? How many days was it before you felt normal again? Whenever I see people with health problems I want to tell them all about the miracles of ketosis. So I made a simple flowchart to help make the transition to nutritional ketosis assuming you don't want to go cold turkey. My own path the NK was long and unguided and something like this would have been helpful. Of course if I had know what NK was when I started my journey I would have just plunged ahead. Instead I did two months of gluten free, then a month of paleo followed by a month of low slow carbs / water fasting. It was only then that I got my hands on ASLCP (a must have book). This flow chart does not deal with solving problems like the low carb flu or issues of compliance. It assumes that you complete each step successfully. Additionally, I haven't given any rationale for the order but you will have to trust me that a lot of thought went into it. Cracklins are My New Crack! Here are a few thoughts on Cracklins and Mayo. Let me know what you think. Sometimes, like tonight at a Christmas party, I feel that I am preaching the ketosis gospel. I am not or it is not my intention, it is just that I am so excited about what I have discovered that I can’t hide it. My experience with ketosis has been amazing, but I do not want to be blind either, so I am always looking for answers. I just listened to Endurance Planet’s recent podcast and the nutrition specialist, Ben, responds to a readers question about carbing during a 50 miler. Now I have only gone 26 miles carbless, so I personally cannot respond directly from experience; nor am I a doctor or a scientist for that matter . . . Ben states that the brain needs a minimum of 30g of glucose (referring to carbs as source) and about 150g during a race per day. Which is to me the standard non-keto answer and later emphasizes his negative attitude towards ketosis and running, “Its not pleasant, to run 50 miles in a ketogenic state . . . but if you really truly want to stay ketogenic God know why? during a 50 mile run . . .” Now I am only 49 days in to my keto diet and I feel better running carbless than I did prior. Also, from my limited understanding and research of keto adapted athletes people, the brain prefers ketones over glucose. In the article, “Your Brain On Ketones: How a high-fat diet can help the brain work better,“ Published on April 18, 2011 by Emily Deans, M.D. in Evolutionary Psychiatry Emily states exactly that. The article is a little rich, but if you are a keto athlete, it is worth a read. And check out the podcast and let me know what you think. It is true that some parts of some brain cells can only burn glucose, but fortunately our bodies can turn protein into glucose through a process known as gluconeogenesis. This fact means that while there are essential requirements for both fat or protein (meaning we would die without eating at least some fat and at least some protein), we can live quite happily while consuming no carbohydrate at all. Now, when I was taught about biochemical fuel-burning, I was taught that glucose was "clean" and ketones were "smokey." That glucose was clearly the preferred fuel for our muscles for exercise and definitely the key fuel for the brain. Except here's the dirty little secret about glucose - when you look at the amount of garbage leftover in the mitochondria, it is actually less efficient to make ATP from glucose than it is to make ATP from ketone bodies! Doesn't sound to me like glucose really is the preferred fuel for the brain after all. ~Emily Deans, M.D. Ben joins the show to answer your questions on the top 5 foods that you’re (probably) not eating and should add into your diet in 2013, good online nutrition log/data software, the best kinds of magnesium (i.e. citrate? oxide? glycinate?) and dosage for athletes plus a follow-up from ATU on Mg in Skratch Labs Drink Mix, why it’s not advisable to go completely without carbs during a race even if you’re in ketosis/fat-adapted (and the minimum amount of carbs you need to get by), peanut butter and honey as ultra fuel, what to eat drink after a PM workout that’s right before bed, an allergy to chicken and turkey and what to do, and more. Yesterday (day 27 in Ketosis), I ran in a area that I thought was relatively flat, but I was wrong. I wanted to get in 20 fast-ish miles with only a little bit of gain. I ended of running 21.15 miles and running 3 different parks, Lair 'o the Bear, O' Fallon, and MT Falcon. My total gain was 3,546’ with an average technical Colorado trails level. Ketosis: Twenty Mile Run, No Carbs, and No Bonks!!! It was AWESOME!!! I just ran my first long run, 20 miles, while in ketosis and I didn’t Bonk! or even come close. OMG – I was laughing about it the whole time. It still amazes me, only a few months ago, I would have taken 7-8 gels and would have had some kind of fancy drink in my bottles. It definitely wasn’t my fastest time, but it wasn’t that slow. I averaged a 10:15 pace with a few hills here and there – 1,474 feet of gain. The trail is fairly groomed, maybe a typical Colorado technical trail. On top of that, the day was beautiful and there were tons of other runners. I crossed paths a number of times with the same runners One was definitely an ultra runner and the others were just out for a 3+ hour jog; it’s Colorado. HILLS: I still feel heavy in the legs on the hills and out of breath compared to pre–ketosis runs. I am not in the best of shape, but it is not the same feeling – a bit weird. Hills have always been my thing and now it seems to be my weakness. I hope after I am fully “ketosis adapted,” I will attack them like I used to. FOOD: As I recall, I only had a double shot espresso for breakfast prior to the run. During, I drank lots of water – about 60oz over the 3.5 hours, but ate absolutely nothing. The day before I stopped eating at 8pm, consuming only 1,680 calories with 31 Net Carbs. I was very satisfied all day, just a little low on the veggies. This brings up the fact that I am never hungry anymore and almost have to force myself to eat. It is like a dieters dream. Lately, I have been treating myself to a sundae providing I keep my carbs low all day, Breyers Low Carb Ice Cream, two table spoons of healthy peanut butter, and a serving of Spanish peanuts. It is the bomb! The ice cream has sugar alcohols and I have heard a lot of bad things about them, but nothing from reliable sources, so I keep eating away. I also stayed under my daily calorie goal – 1800. And kept within my percentages of 70% – 20% – 10%. I know others have different percentage setups, honestly I just picked a formula that was in the middle and not too extreme. I need to do more research to make sure I am staying healthy, but I feel great, in fact better than great! Let’s see how I feel tomorrow . . .